Yummy! 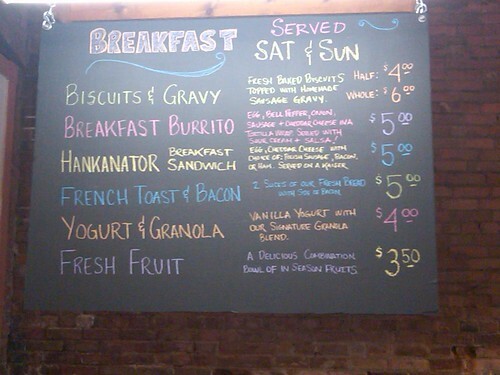 JJ’s Bakery (Central Avenue downtown) is now open for breakfast on Sunday – hooray! We sampled a bit of everything this morning – French toast, biscuits and gravy, and a couple of “Hankanators” – delicious! PRO TIP: order a Hankanator, and then dip it in the sausage gravy!